The recipe is from Rachel Ray (here’s the book). It’s so simple you can do it with one sleepy eye closed, which is how I did it cause I was pooped. 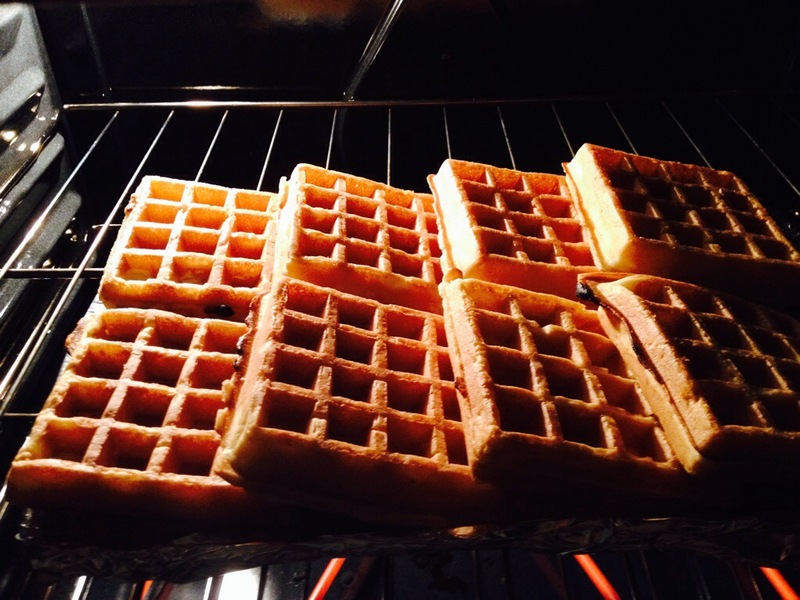 Warm the waffles in the oven. You want them slightly toasted. Melt a few pats of butter in a large skillet. 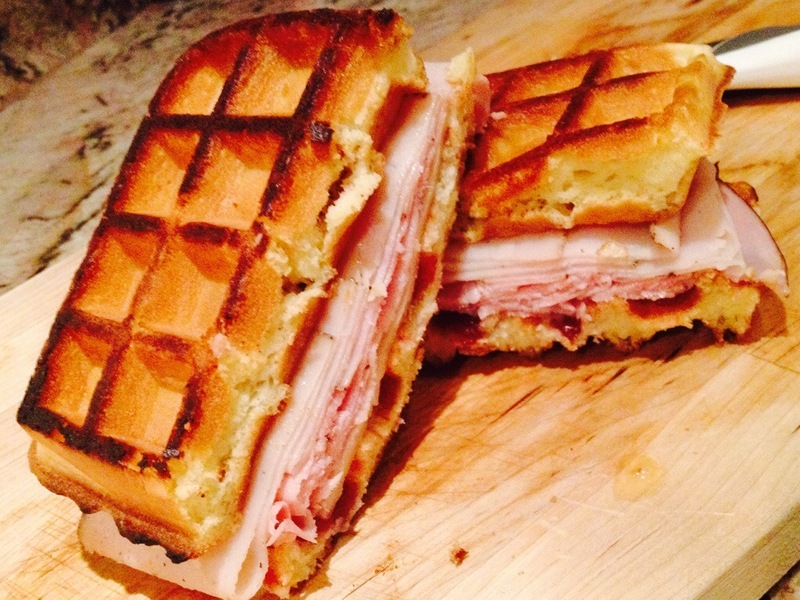 Assemble by putting the honey mustard on one side of the lightly toasted waffle, add turkey, ham and Swiss then top with a waffle that has cranberry sauce on one side. 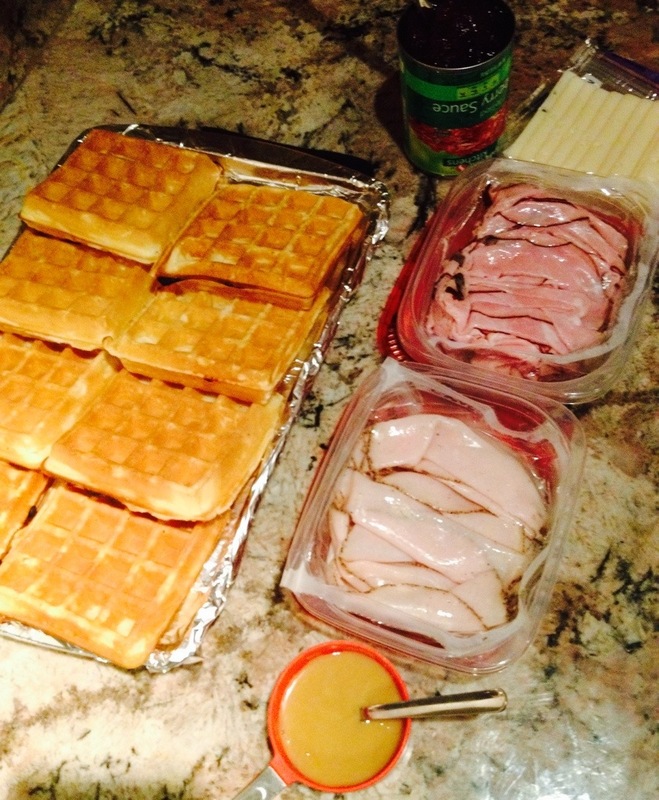 Yummy yummy waffle-wiches! 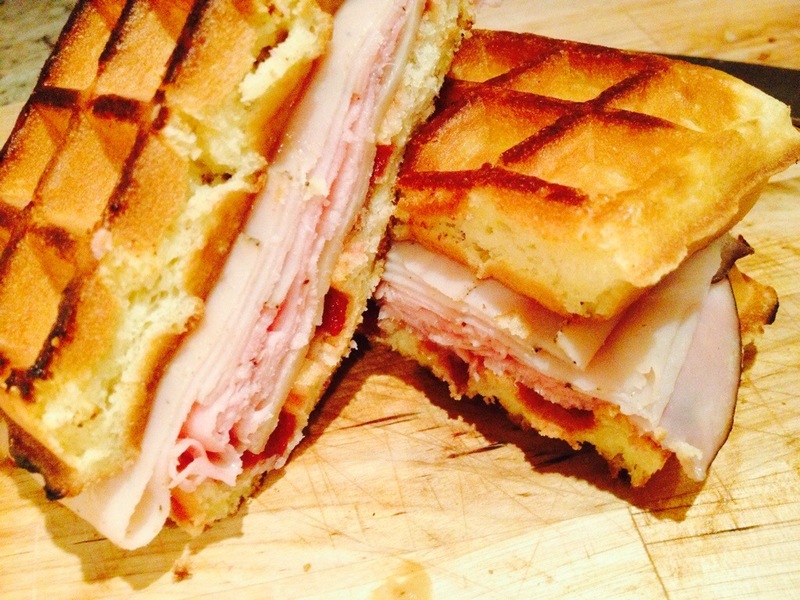 Rachel Ray compares them to Monte Cristo sandwiches which I can’t speak to because I’ve never had one but these buttery, cheesy, meaty, slightly sweet and tangy sandwiches are definitely being added to our list of quick satisfying, delicious, comfort foods. Enjoy guys! Previous Post 10 DIY Lifehacks for Home. Next Post School lunch item review + Week 1 (2014/15) Bentos.